Some of the shows focus on the sudden, traumatic, and usually forced, cleanup process triggered by a legal or health crisis. Others focus more on the psychology behind hoarding and what it’s like to live as a hoarder. Generally speaking, it takes both a professional organizer and a mental health care professional, if not an even more extensive support team, to create a change in a hoarder’s behavior. 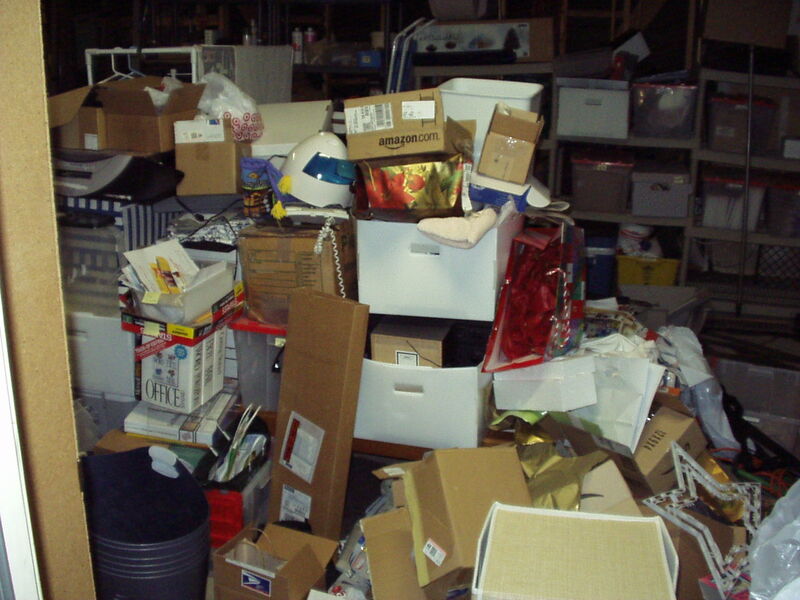 Hoarding has long, and erroneously, been considered a subset of OCD. In 2014 it was finally listed in the DSM-V revision as its own diagnosis: Compulsive Hoarding. For professional organizers these shows are practically required viewing, at least occasionally, for awareness sake. However, I find them almost unbearably sad to watch. One unusually insightful hoarder, who surveyed her cluttered home with the help of a mental health care professional, articulated what I was feeling: “You are looking at my unresolved pain.” Indeed. What you should know about me, since you are reading this post, is that I do not, and am not qualified to, work with hoarders. The more severe the case, the more specialized the training and help that is required, by both organizer and mental health care professional. Television loves to portray extremes, and my clients are way too average to be of interest. Even the ones who fear that they are hoarders usually turn out not to be. Not really. 1. There is help available. Are you wondering if you are, or someone you care about is, a hoarder? The Institute for Challenging Disorganization (ICD) offers resources and help. There are a lot more resources available to hoarders than when I originally wrote this piece in 2010…just Google “hoard*” (which covers hoard, hoarded, hoarders, and hoarding) + your location to see what other resources might be available to you. 2. Please DO refer friends and family to me, or to another professional organizer, if you suspect that they are hoarders. 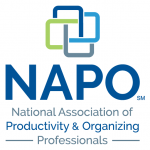 You can search the NAPO website (National Association of Professional Organizers) by zip code and specialty to find a qualified organizer near you. We can help you figure it out and get help. Keep in mind that most hoarders do not want help, and there’s not much we can do if that’s the case. I have local colleagues at Professional Organizers of New Mexico (PONM) who specialize in working with hoarders, and I gladly refer clients to them who need their expertise. Despite my not normally working with hoarders, in December 2011 I found myself agreeing to lead a team of organizers during a local (Albuquerque, NM) shoot of an episode of A&E Hoarders. Although it was an experience to remember, keep in mind that as volunteers we had minimal direct interaction with the client and the client’s family. In addition to coordinating the volunteer team, I assembled a lot of boxes, did a lot of sorting, took a lot of photos, helped stage the kitchen after purging and cleaning, and did my best to stay warm. There was no heat inside or out and, as expert organizer Geralin Thomas found out, Albuquerque is in the high desert (colder), not the low desert (warmer)! Click here to view our behind-the-scenes volunteer photo album. Copyright 2010-2015 by Hazel Thornton, Organized For Life. Why Am I Organized and You Aren’t? Thank you for your comment, Diane. Are you a perfectionist? I’ve learned that many hoarders are (as in this article: http://bit.ly/xyxngs). And do you have access to local help if you want it? Although NAPO is listed in at least one of the resource lists, I forgot to mention (and have just added) that one can search http://napo.net by zip code and specialty (i.e. hoarding) for an organizer near you. Most interesting Hazel. No, even though I like to collect, I am not a hoarder, but I do need to begin to eliminate some of my stuff. the older I get the more I do not want my children to have to “clean up” for me. I took the test regarding hoarding and got 7 correct. a passing score. Keep up the good work. Thanks, Peg! You’re certainly not alone. It’s almost inevitable that the older we get, the more stuff we accumulate. Even the most organized person needs to release things once in awhile so as to not get overrun by them. Your children will thank you! Very informative article, Hazel. 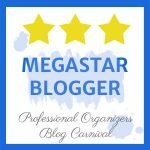 It’s important for the public and professionals to realize that not all organizers are qualified to work with hoarders. Thanks, Janet! I always say I don’t work with hoarders, but I can get them the help they need. Are there resources for preparing volunteers for this type of work? In particular I am looking for guidelines on what volunteers need to know, safety considerations, etc. Hi Stefanie, I recommend contacting ICD (Institute for Challenging Disorganization) and asking them your question. I can’t thank you enough for including my book, From Hoarding to Hope, in this post. Those photos bring back some wonderful team work memories. Y’all worked through some very challenging situations on that particular shoot. We survived and can smile about it now.